Students in the intermediate level physics lab See slideshow View gallery. 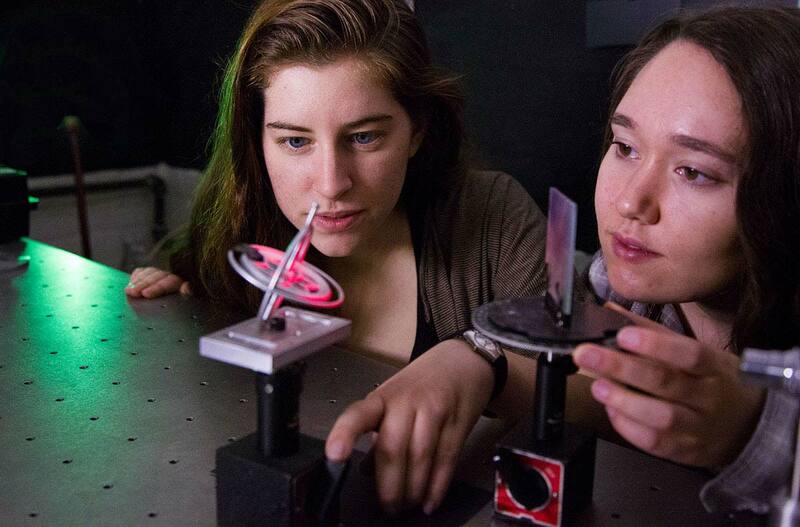 The Physics and Astronomy Department at Vassar College offers students an engaging learning environment consisting of a rigorous program of study augmented by a diverse research agenda. The department faculty are dedicated to continuously using and exploring innovative and effective teaching strategies, and to developing a strong research program aimed at providing ample opportunity for undergraduate students to have hands-on experience. Physics and astronomy majors are adequately prepared for graduate studies in not only physics and astronomy, but also engineering, education, and medicine. The faculty are also committed to teaching courses that promote scientific literacy for students who do not choose to major in the sciences.